The Yankees signed Andrew Miller and acquired Didi Gregorius in a three-team trade. 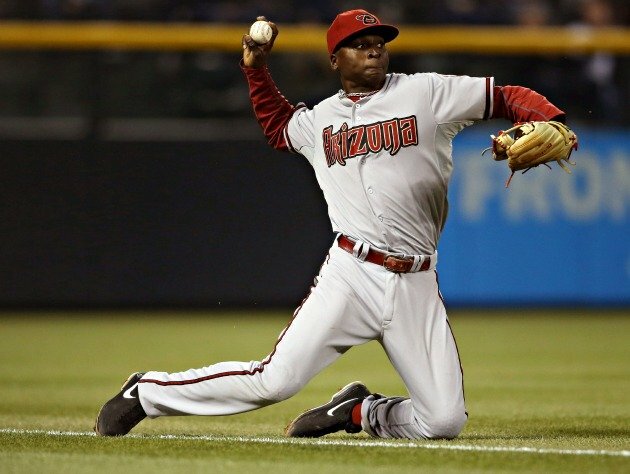 Didi Gregorius making a play for the Diamondbacks in 2013. On Friday morning, the Yankees acquired Didi Gregorius, a 24-year-old shortstop from the Netherlands, in a three-way trade with the Detroit Tigers and Arizona Diamondbacks. The relief pitcher prospect Robbie Ray went from the Tigers to the Diamondbacks, and the Yankees sent starter Shane Greene to the Tigers. 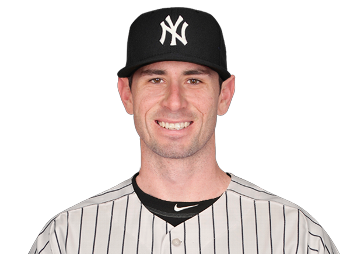 The Yankees only had to give up Greene, who is already 26 and started 14 games last season only because the Yankees had many injuries in their rotation, to get their shortstop who will take over for Derek Jeter. The Yankees have depth in their rotation, which means that this is a deal that they had to make. Gregorius is coming off of a season where played in 80 games with the Dbacks and hit only .226 with six homers and 27 RBIs. However, he played more games in 2013 (103) and his offensive production was better as he had 16 doubles versus nine in 2014, a .252 average, seven homers and 28 RBIs. He had a .310 average in 57 games in 2014 while playing for the Diamondbacks AAA affiliate in Reno, which proves that he has the ability to hit for a higher average. Gregorius, who is known for his defense, might not have the ability to hit 15 homers in a season like Derek Jeter did nine times in his career, but he is a plus defender with the ability to go to his left and right. Jeter wasn’t able to have much range during his last few seasons, which means Gregorius will be an upgrade in that regard. In 67 games at shortstop in 2014, Gregorius had five errors, had a .983 fielding percentage, turned 39 double plays and had 189 assists. In the minors, he had six errors in 19 games during the 2014 season at shortstop. He is athletic and has shown promise while playing for Arizona, which means that he has the ability to improve. Gregorious came out of left field because the Yankees would usually have acquired a higher profiled shortstop, but since they only had to give up Greene to get this young shortstop with promise the deal makes sense. Former Diamondbacks General Manager Kevin Towers had very complementary words to say about Gregorius in 2012. “When I first saw him he reminded me of a young Derek Jeter,” Towers said. The test will come in April when he will have to show if he can handle the media scrutiny in New York City after previously playing in Cincinnati and Phoenix. The Yankees offense needs a bounce back this season, but in order for it to do so Brian McCann, Carlos Beltran and Mark Teixeira will have to perform better than they did las season. It will be a successful first season offensively if Gregorius can hit .255 with eight homers and about 55 RBIs. On Friday afternoon, the Yankees continued their busy day with the signing of relief pitcher Andrew Miller. On Wednesday, Jon Heyman reported that the Yankees were a finalist to land him along with the Astros, and he ended up being correct. The Yankees signed the dominating lefty reliever to a four-year, $36 million contract. The 29-year-old is coming off of a season where he pitched in 50 games for the Boston Red Sox and 23 for the Baltimore Orioles while recording an ERA of 2.02, 62.1 innings, 103 strikeouts, five wins and only 17 walks. David Robertson might not return because he also wants a four-year contract, but the Yankees should have a hard-throwing shutdown bullpen with Miller, Dellin Betances, Justin Wilson, Adam Warren, Shawn Kelley, Jacob Lindgren and Esmil Rogers. Lindgren was a second-round pick in June out of Mississippi State who is projected to make an impact. He had a 2.16 ERA across four levels of the minors this season. Miller and Betances both have the ability to close, and they could be the closer by committee this season so they can both pitch in high leverage situations. Miller faced 64 batters in save situations last season and held them to a .070 average with 36 strikeouts. Miller (42.6%) and Betances (39.6%) ranked second and fourth among all relievers last season in strikeout rate. That’s a dominating and imposing lefty-righty combo at the back of the bullpen. Miller has a career ERA of 4.91, but that is inflated because he struggled early in his career. From 2006 until 2011 his season ERA was never under 4.84, but he never pitched in more than 29 games in any of those seasons. He has proved to be much more successful the past three seasons with an increased work load in the prime of his career. He had a 3.35 ERA with 51 strikeouts in 2012, and in 2013, Miller had a 2.64 ERA with 48 strikeouts. If Miller has a season similar to the one he had last season, and if Lindgren, Wilson or Warren can emerge as a reliable seventh-inning option, the Yankees bullpen could turn out to be similar to the one that helped the Kansas City Royals advance to the World Series in 2014. However, this bullpen dominance and comparison to that of the Royals last season would be even more comparable and if David Robertson returns. The Yankees beat the Toronto Blue Jays on Thursday for their second consecutive 3-2 win. One game after Derek Jeter ended his 0-28 hitless streak, Jeter hit his first home run at Yankee Stadium of the season. The Yankees won because Chase Headley was the hero once again in the ninth. The first Yankees run came in the fifth inning after Stephen Drew hit a deep double to right to drive in Headley and then Jeter slugged a homer to left off of an 82 MPH R.A. Dickey fastball. Jeter was able to take advantage of the fastball instead of having to figure out Dickey’s usual knuckleball. 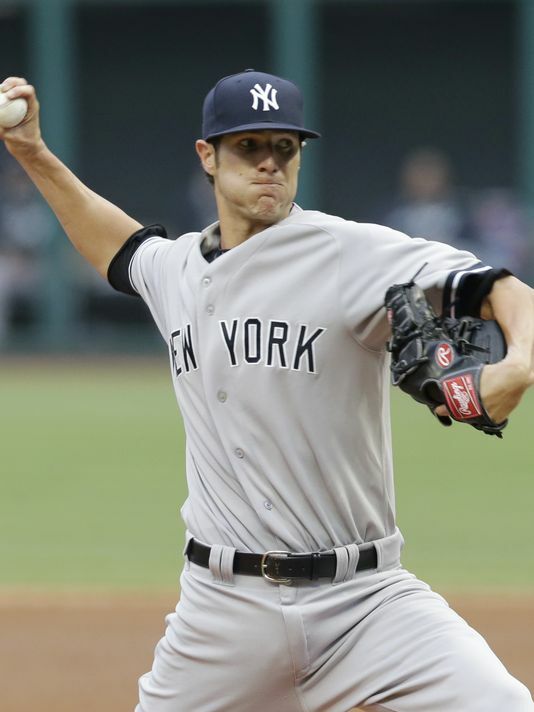 Shane Greene had yet another dominating performance for the Yankees. Greene didn’t allow a run and had six strikeouts in 6.2 innings. Greene retired the side in order in the second, fourth and fifth innings while only allowing three hits. He has an impressive 3.24 ERA in 13 starts this season, and Greene has proven that he deserves a spot in next year’s rotation. Greene was not able to get the win because Shawn Kelley threw a high fastball that Jose Bautista easily hit out of the park for a two-run homer. Kelley has been much less reliable recently, but the Yankees were able to get magic in the ninth. In the ninth inning, right fielder Chris Young hit a single to center, Antoan Richardson pinch ran and easily stole second and got to third on Brett Gardner’s bunt and then Headley hit a grounder that went through Adam Lind’s legs at first for an error to send Richardson home to win the game. It was Headley’s third walk-off with the Yankees. Derek Jeter helped the Yankees win the first game of his final homestand at Yankee Stadium. Jeter and Greene both said that the Yankees are trying to win every one of their remaining 10 games since they are not mathematically eliminated from getting the second wild card (five games behind the Oakland Athletics). 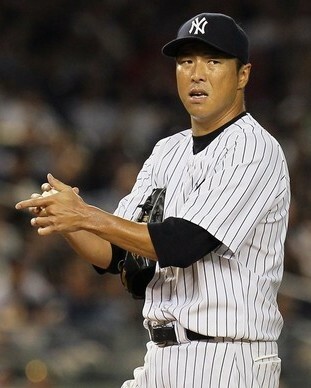 Hiroki Kuroda, who allowed one run in his last outing, will start Friday’s game for the Yankees. Earlier this season, Jordan Brand released a tribute commercial for Jeter that had celebrities such as Spike Lee, Phil Jackson, Michael Jordan, Billy Crystal and Carmelo Anthony tip their cap to Jeter. Yesterday, Gatorade put out a commercial that had a much more local feel. Jeter asked to be let out of his car early and then greeted fans of all ages while walking to Yankee Stadium. He was serenaded by Frank Sinatra’s “My Way” while going into Stan’s Sports Bar for the first time and seeing the mural of himself outside that establishment. Hiroki Kuroda will get the start on Tuesday. The Yankees had their last off day of the season last night and the Seattle Mariners won their game, which means that the Yankees are now five games behind Seattle for the second wild card with 21 games left to play. The Cleveland Indians are half a game ahead of the Yankees and the Detroit Tigers are 4.5 games ahead. The Yankees are trying to remain optimistic at this point even though they will likely have to go at least 15-6 to have a chance, which will mean that the offense will have to score more runs than they have been recently. Derek Jeter, who saw Michael Jordan, Dave Winfield and Cal Ripken Jr. come to Yankee Stadium as surprise guests for Derek Jeter Day, is one player who is not giving up on the season, as his career winds down. 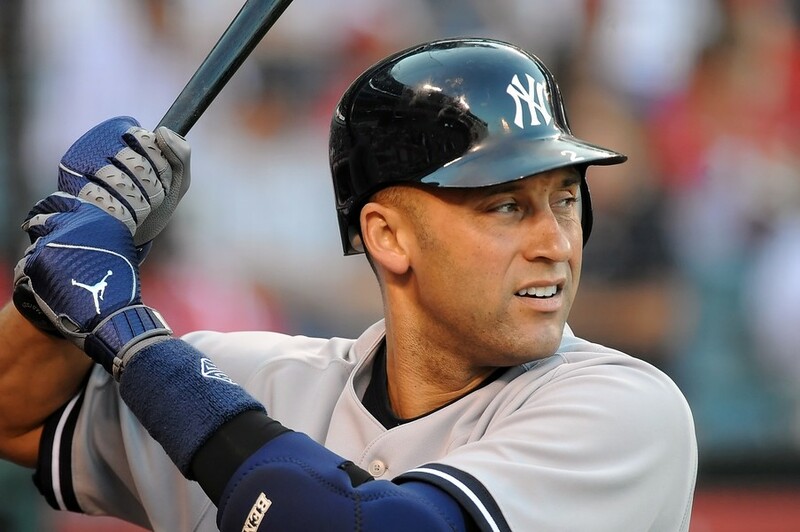 “We’re still in a position where if we win our games, then we’ll be all right,” Jeter said. The Yankees play the rest of their games against American League East division opponents. Eight of their games will be against the first-place Baltimore Orioles, who have won five of their past seven games, and they will end their current nine-game homestand, in which they are 3-3 so far, with a three-game series against the fourth-place Tampa Bay Rays. In their previous series against the Toronto Blue Jays, the Yankees offense didn’t score any runs in two out of the three games. Shane Greene and especially Michael Pineda both pitched very well in the two losses but couldn’t get the win because of the inept offense. The Yankees only had three hits in Friday’s loss, and in Sunday’s 2-0 defeat, the offense only had four hits. They can’t repeat that offensive performance if they are going to sweep the Rays. Tampa Bay, who has lost seven of their past 12 games, is 23rd in all of baseball in runs scored and 20th in all of baseball with their .248 batting average. When the Yankees played the Rays from August 15-17, at Tropicana Field, the Yankees won two out of the three games. David Robertson, who has been a bright spot for the Yankees this season with his 35 saves, saved both games that the Yankees won. Chris Archer, who will pitch against the Yankees during Tuesday’s game, has had a lot of success against the Bronx Bombers in his career. He has a 1.98 ERA in two starts against the Yankees this season and had a 1.23 ERA in three starts against the Yankees last season. However, Archer has allowed 13 runs combined in his last two starts and the Yankees will need to take advantage of his recent struggles by scoring a few runs off of him. For the Yankees, Hiroki Kuroda has allowed two runs or fewer in all of his last four starts. Brett Gardner spiked his helmet on Tuesday. The Yankees lost a deflating 9-4 game to the Boston Red Sox on Tuesday night. This was the first game of their nine-game home stand. They didn’t play well overall as they made base-running mistakes, didn’t get a good start from Shane Greene and didn’t get hits with runners on base once again. Greene also allowed two runs in the first off of a RBI double to deep left by Yoenis Cespedes and a sacrifice fly by Mike Napoli that scored David Ortiz. Greene was flat out not able to locate his pitches like he had in his previous starts. Esmil Rogers pitched 1.1 innings after Greene was taken out with two outs in the third, but Rogers gave up a homer to Mookie Betts for Boston’s seventh run. The Red Sox would have won the game on only the homers they hit because the three that they slugged accounted for five runs and the Yankees only scored four. The Yankees scored four runs, which is more than they scored on Saturday and Sunday combined, but they had chances to add on many more runs. The Yankees left six runners on base, were only 2-7 with runners in scoring position with Jacoby Ellsbury going 0-3 and they grounded into two double plays. In the fifth inning, with the Yankees losing 7-1 after Martin Prado’s homer in the third inning, Prado made a base running mistake after hitting a single to deep left since he thought Carlos Beltran would have scored on the play with Brian McCann advancing to third. He was not paying attention and was out at second, which caused there to be runners on second and third with one out instead of bases loaded with no outs. Chase Headley would walk to load the bases and Joe Kelly walked Francisco Cervelli on a 3-1 pitch to score the Yankees’ second run. Ellsbury could have put the Yankees back in the game with a double, but he lined out to the shortstop with the bases loaded. Derek Jeter got an infield single to score the third run after the original out call was reversed. The Yankees didn’t come through with runners in scoring position once again when Brett Gardner struck out looking to end the 5th inning. The pitch was clearly about a foot outside and Gardner ended up being thrown out of the game because he spiked his helmet. “We all know Gardy knowns the strike zone. He got frustrated with him and I think most people would have,” Girardi said. This is regarding Gardner getting kicked out of the game. Girardi thought the pitch should have been called a ball and definitely trusts Gardner’s knowledge of the strike zone. “I saw the replay of it, obviously it was outside, about where I thought it was. My emotions just got the best of me,” Gardner said. He was obviously frustrated because he struck out at a crucial point of the game and it was also the home plate umpire’s second missed call with him at the plate. The Red Sox are currently in last by 5.5 games, and if they end up finishing the season in last place in the AL East they will only be the second team to finish in last place after winning the World Series the previous season. In the sixth-inning, McCann hit into a double play to end the inning. This would happen again in the seventh-inning as Cervelli hit into a double play with Chase Headley on first and Prado on second. Prado advanced to third on the double play, but Ellsbury flied out to right for another unsuccessful at-bat with a runner in scoring position. McCann hit a home run to right in the ninth off of Koji Uehara, but it was meaningless as a result of Greene having his worst start of the season at the wrong time and the offense not producing for yet another game. It also didn’t help that they combined to strikeout a combined nine times. The Yankees are now 33-32 at Yankee Stadium this season and they only average 3.6 runs at home. “This series is extremely important and this is not how your want to start out the series,” Girardi said. The Yankees will have to rebound from yesterday’s loss without Prado’s offense. He has a mild left hamstring strain and is hoping to return to the lineup in a day or two. The Yankees and Cleveland Indians are now both five games behind the Detroit Tigers for the second wild-card spot. Wednesday’s 7:05 p.m. game will be started by the veteran Hiroki Kuroda who will be looking to get the team back in the win column. He is coming off of a start where he only allowed two runs in seven innings. Shane Greene being interviewed in the locker room. After losing two out of three games to the Detroit Tigers and then two out of three to the Toronto Blue Jays, the Yankees will now play their last series at home against the Boston Red Sox. This will be Derek Jeter’s final series at home against the rival Red Sox before ending the season with three games in Boston. The Yankees will have to sweep the Red Sox to have a chance at having those three games to end the season be meaningful. They still have a slim chance at getting the second wild-card spot as they are currently four games behind the Detroit Tigers with 27 games to play. They are tied with the Cleveland Indians and are 2.5 games behind the Seattle Mariners. Boston comes into this series having lost six of their last 10 games. They have a negative 74 run differential and a drastically different rotation than they had in the middle of July. Jon Lester, Jake Peavy and John Lackey were all traded before the trade deadline as the Red Sox tried to rebuild their roster for next season. This has left their rotation filled with rookies and inexperienced pitchers besides the experienced Clay Bucholz. Also, their offense has struggled much more than it did last season since they have scored the 25th fewest runs in all of baseball and their .243 average is in 25th place in the league. The Yankees, who also have a negative run differential despite their 70-65 record, are on pace to be the first team in major-league history to post back-to-back winning seasons while being outscored by at least 20 runs in each season. They currently have a negative 27 run differential, which means that their opposition has outscored them by 27 runs. A negative run differential would suggest that a team would be under .500, which proves that Joe Girardi has led the Yankees to actually overachieve as a result of all of their pitching injuries and offensive ineffectiveness. Part of the reason that the Yankees have the record that the do the past two seasons despite their negative run differential is that they are 92-60 in games decided by two runs or less. That is the best record in Major League Baseball over the last two seasons. It helps that the bullpen has been a strength this season and last season. Jacoby Ellsbury, who played for the Red Sox the previous seven seasons and was an All-Star once, has been the best offensive player in the Yankees lineup since August 24. Since the game on the 24th, he has 13 hits in 24 at-bats (.542), six runs scored, four homers, nine RBIs and three steals. Ellsbury sprained his angle when he was sliding into home during Friday’s win against the Blue Jays. He missed Saturday’s game and then was only able to pinch-hit on Sunday. “It’s still sore, but over the last couple of days, they’re real happy with the progress that I’ve made,” Ellsbury said. “We’ve got the off-day, but I’ll get the MRI tonight and have our doctors look at it. Hopefully it’s a good MRI.” The Yankees, who only scored two runs combined in the last two games against the Blue Jays, need Ellsbury back in the lineup. The Yankees should have the advantage in the series since they have better starting pitchers and if Ellsbury is back he should be able to help them beat his former team. The Red Sox offense has scored six runs combined in their last three games. Here are the pitching matchups for the series against the Red Sox. Webster will be making his 15th career start and Renaudo will be making his fourth start of his career. Kelly came to the Red Sox in the trade that sent Lackey to the St. Louis Cardinals, and he had made 36 starts since 2012 with the Cardinals before the trade. The Yankees beat the Detroit Tigers, 8-4, on Wednesday as a result of an eight-run outburst in the third inning against former Cy Young winner David Price. With the win in the second game of the series the Yankees are now 2.5 games behind the Seattle Mariners for the second wild-card and six games behind the Baltimore Orioles for first place in the AL East. In 13 starts against the Yankees from 2011 to 2013 while pitching for the Tampa Bay Rays David Price, who won the Cy Young in 2012, had a 3.81 ERA. The Yankees have hit well against him in his career, but their performance against Price on Wednesday is hardly ever seen against any pitcher in Major League Baseball. After getting three hits in the first two innings, the Yankees went onto record nine consecutive hits off of Price in the third to force him out of the game. Price did not record an out and all eight runs were charged to him. Jacoby Ellsbury led off the inning with a single, Derek Jeter’s 539th double of his career that drove in Jacoby Ellsbury tied him for 35th on the all-time doubles list, Martin Prado singled to left, Mark Teixeira drove Jeter in on his double to right, Prado scored on Beltran’s single to right, Teixeira scored on Brian McCann’s single to center, Chase Headley singled to left for, Brett Gardner’s infield single scored Beltran and then Franciso Cervelli’s single to left sent McCann home for the team’s ninth hit in a row. Against reliever Blaine Hardy, Ellsbury and Jeter hit a sacrifice fly in consecutive at-bats to make the score 8-0. Here is video of the nine consecutive hits. David Price, who has had many more dominating starts than not in his career, made a point of saying that he is human and would try to move past this performance. “That is probably the worst game I have had in my life,” Price said. Ellsbury has been in the leadoff spot the last three games instead of his usual three spot in the lineup and has raised his average from .277 to .285. In the last three games he has gone 8-13 (.615), scored five runs, driven in five runs, stolen two bases and hit three homers. The Yankees need Ellsbury to give this kind of production and hitting first in the lineup might be a reason for it. He is hitting leadoff again on Thursday. Jeter was 1-3 with two RBIs and on August 28 in 2011 he passed Mickey Mantle for 1st on the all-tim Yankees games played list. Shane Greene is only a rookie but he was the one who pitched like the former Cy Young. He pitched seven strong innings while striking out eight and only allowing two runs. He allowed an RBI double to left by Miguel Cabrera and a solo homer to Victor Martinez. His slider was his best pitch on Wednesday and he knew early on that it was effective. Greene struck out the last better he faced, Torii Hunter, on a high fastball. “I hope it (slider) is good for me every time, but Cervelli will let me know if it’s not or if it is, just stay with him, but probably about the second I could tell I had a good slider,” Greene said. “I got to give the credit to Cervelli. I am following his lead for the most part. Like I said before, he knows these guys way better than me.” Greene has now pitched six innings or more while allowing two runs or less in three of his last four starts. Dellin Betances pitched the ninth inning and allowed a run on two hits. He had not allowed a run in eight of his previous nine appearances. The Yankees will play a matinee game on Thursday at 1:08 p.m. at Comerica Park as they try to win the series. Hiroki Kuroda will pitch for the Yankees and rookie Kyle Lobstein will get the start in place of Justin Verlander. Lobstein is making his first Major League start. The Tigers are also the only Major League team that Kuroda has not defeated. Brandon McCarthy‘s complete game shutout helped the Yankees snap their two-game losing streak and win the series finale against the Houston Astros, 3-0. He needed 107 pitches to get through nine innings and only gave up four hits. His eight strikeouts were the fifth time out of eight starts with the Yankees that he had seven or more strikeouts. McCarthy has also allowed two runs or less in seven of his eight starts with the Yankees and had his second start where he allowed zero runs. 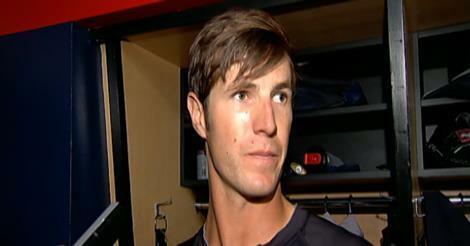 He now has a 5-2 record and an outstanding 1.90 ERA since being traded from the Arizona Diamondbacks to the Yankees. He is best when he is allowing a lot of ground balls, and he did just that on Thursday as he induced 12 ground balls. The Astros were 0-3 with runners in scoring position, Dexter Fowler and Marc Krauss were the only ones with extra base hits. Catcher Francisco Cervelli gave him a loud pep talk in the seventh-inning when McCarthy was losing his confidence after allowing a double and single. “He was like, ‘Your stuff’s is so good, let’s go. We’re going to get all the way through this.‘ From early on in the game he was on me,” McCarthy said. His complete game was clutch because he was able to give the overworked bullpen an night off. The Yankees will now be able to potentially have Dellin Betances and David Robertson for two out of the three games against the Chicago White Sox. He has proven that the Yankees should definitely give him a new contract in the offseason. The Yankees did not score more than four runs for their 10th consecutive game, but they scored enough runs in the second inning to give the team a needed victory. Chase Headley’s double to deep right in the second that scored Mark Teixeira and Martin Prado gave the Yankees a 2-0 lead. For the third run of the second-inning, Ichiro Suzuki hit a sacrifice fly to score Headley. With Cervelli’s single in the fifth, he is now on a five-game hitting streak. On Friday, the Yankees will start a key three-game set against the White Sox, who are in fourth place in the AL Central with a 59-68 record. They need to win two games and it is important that they sweep the series so that they make up ground in the wild-card standings. They are four games behind the Detroit Tigers and 3.5 behind the Seattle Mariners for the second wild-card, and they both lost their last game.